You see, we’re planning our first annual fundraiser, Maxapalooza. 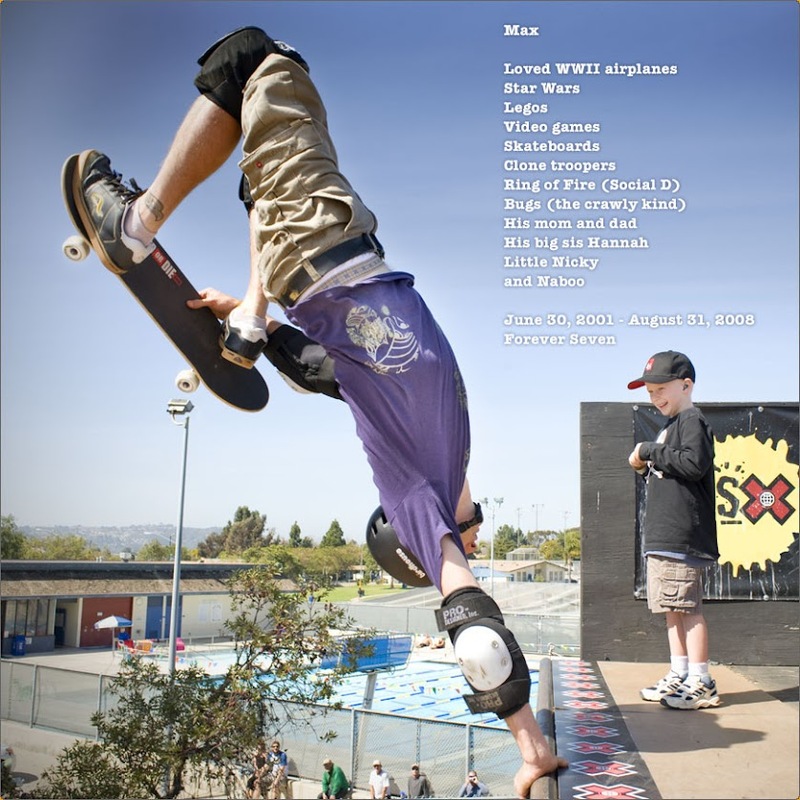 There are certain elements that we absolutely have to have at the event in order to really make it a proper Max memorial. Of all the elements we have been hell bent on honoring, the biggest two are planes and skateboarding – two things, we have found, that are hard to combine from a logistical point of view. I’ve been searching for the right venue since November and am getting ready to cave. Any dumb parking lot will do. I returned to the airport Tuesday morning to go over the paperwork necessary to host an event at the airport. Once the paperwork is approved by the county in 2-3 weeks we can prepare for launch! I ask what the cost of the space will be and they offered to sponsor the space for Maxapalooza. Wow, and thank you. Can you believe this? My head is still spinning. Just when I was about to give up on this whole airplane thing everything falls into place – better than I could’ve ever hoped for. I’m not sure if I’m more excited or more relieved! This event is going to rock! Dumb luck? I don’t know. We see signs of Max everywhere we go. 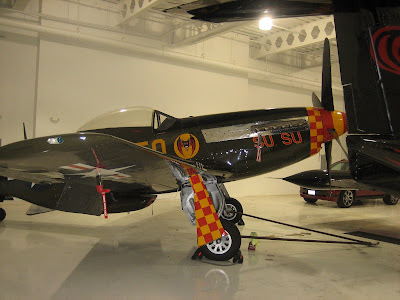 Some more obvious than others – like a P51 Mustang parked in the hangar I’m looking at. I started really feeling and thinking differently about Max’s Ring of Fire on Monday. What it means to me. It’s not just a song Max sang and the name of a non-profit org. I’m not sure I can write this clearly… there’s this ring that is Max. And it’s spreading out; growing. Capturing more people, who in turn push the ring out to encompass more people. It doesn’t weaken as is expands, it becomes stronger. Love is a burning thing, and it makes a fiery ring. Jump in our ring. Let's make this thing big! I know exactly how you feel when the event just falls into place. You and I should catch up more on this stuff. Pat and I made our initial plans for an October and March event. It is such a wonderful feeling when you can actually picture all these friends, family and strangers at a place you found and start to picture how great the event can be. I am sooooo happy you found the perfect spot. I also know what you mean about the ring. I see it advance all the time. Another great feeling is when random people you talk to see the website and immediately want to get on board and do whatever they can. It’s so great when people finally get it. On a side note it is driving me completely crazy that I cant be at this event and I know every time I read about how great its going to be, it’s going to drive me nuts!!!! It made my day to hear that this is coming together for you. Nice work Melissa. Absolutely wonderful news! This event is going to rock because YOU are working overtime to make it happen!! Keep that fire burning! Melissa, you rock!! Thanks for bringing happy tears to my eyes this morning. The Palomar Airport hangar sounds amazing. Max definitely has a hand in bringing all those pieces together but the right people have to be down there to bring in those signs too. You and Andy have the perfect spirit and attitude. If someone was to evaluate what would be the best way to handle unimaginable grief of losing a child, you guys would be a model. Not being succumbed to grief, you are turning that powerful emotion into an amazing movement that would bring together many people for the cause. Cheering you from NorCal. I'm so excited we have a venue! !